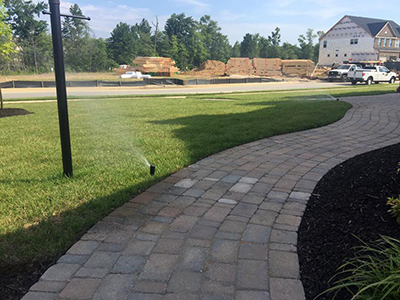 Irrigation is very important for proper watering of annuals, turf, planting and trees. Although most feel irrigation is a luxury item only for the rich you would be surprised how affordable it can be. With new technology we have systems that can now be controlled from your smart phone or tablet while you are at work or relaxing on the couch. Change settings, turn on or off whatever you would like. We also offer a full line of services for your current systems from upgrades to repairs and service. We also offer spring turn-ons and tune ups and Fall Winterizations.